South Korea’s foreign minister says her government is consulting with the United States on the planned summit between President Donald Trump and North Korean leader Kim Jong Un. 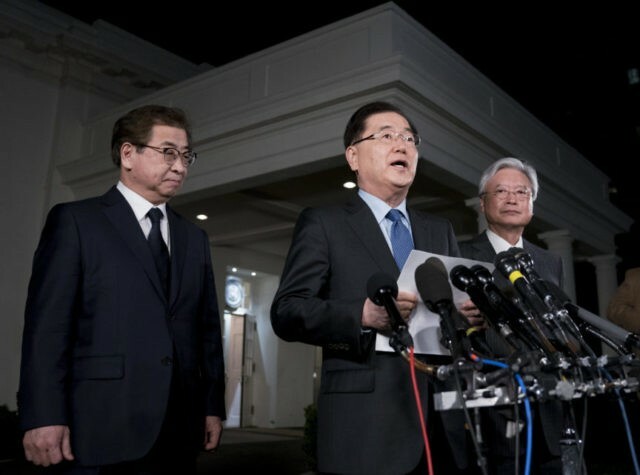 A summit between Kim and South Korea’s president in a Korean border village is planned at the end of April, and Trump’s meeting with Kim would be anticipated sometime in May at a place still undetermined. Former NBA star Dennis Rodman, who has traveled several times to North Korea and is one of the few Americans to have met its leader, is praising President Donald Trump for planning a summit with Kim Jong Un.